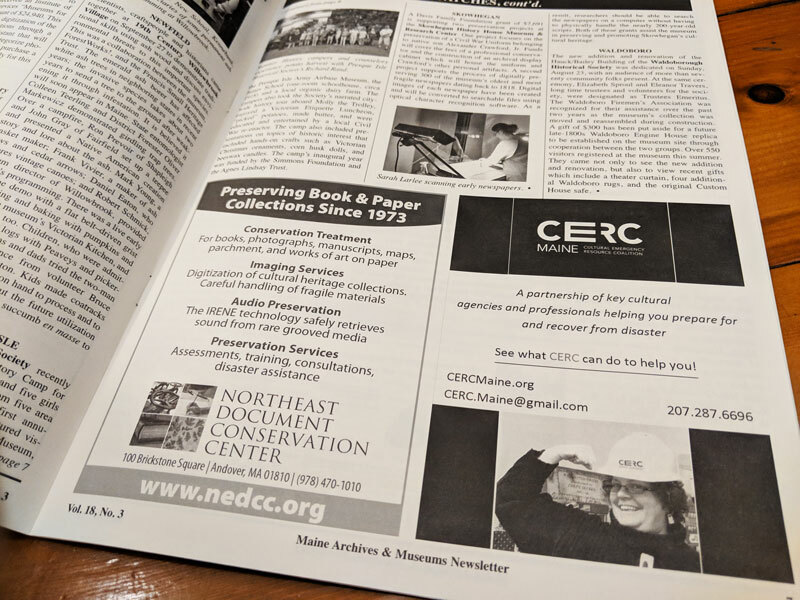 Reach out to Maine's collecting institutions by advertising in MAM's quarterly print newsletter! To purchase an ad in a single issue, navigate back to the Newsletter Advertising page. 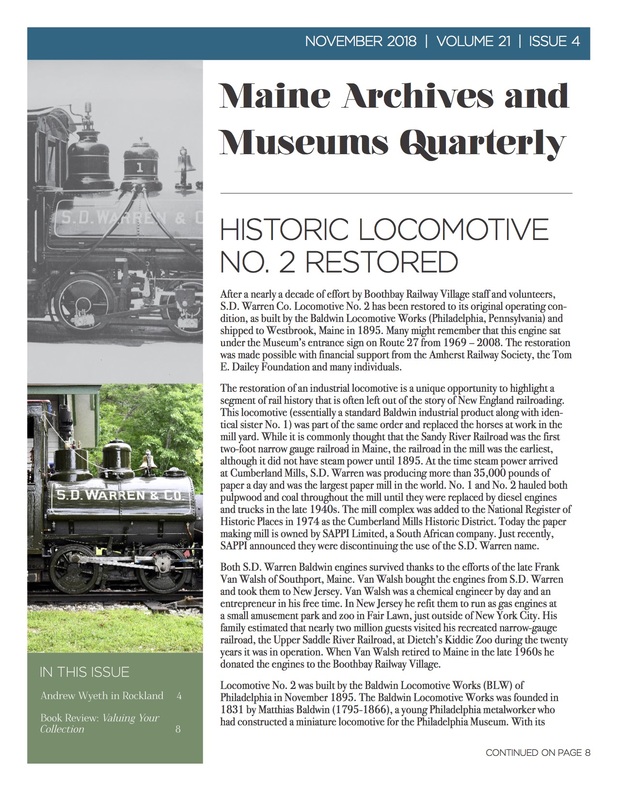 Deadlines: March 30, June 30, September 30, December 30 Consider a quarter-page ad in the Maine Archives and Museums newsletter, a quarterly print and online publication produced by and for Maine’s community of museums, archives, and other collecting organizations. The newsletter is direct-mailed to more than 300 member organizations and reaches an even broader audience online. The newsletter appears in February, May, August, and November of each year. Typical features include exhibitions and major collaborations at or among member institutions; listings of grant-making and professional development opportunities; program offerings; and more. For an additional fee, we would be happy to design your ad for you. Just ask! Take advantage of: -An easy, direct, and affordable way to reach decision-makers in Maine's cultural institutions. -Direct-mailed to more than 300 individuals in Maine's community of collecting institutions -Posted online and shared through direct email to MAM's membership -Advertising rate discounts for members -Graphic design services offered by MAM for an additional fee To find out more, check out the advertising guidelines page on the website or contact Dugan Murphy at info@mainemuseums.org or our newsletter editor, Lorraine DeLaney at ldelaney@colby.edu.